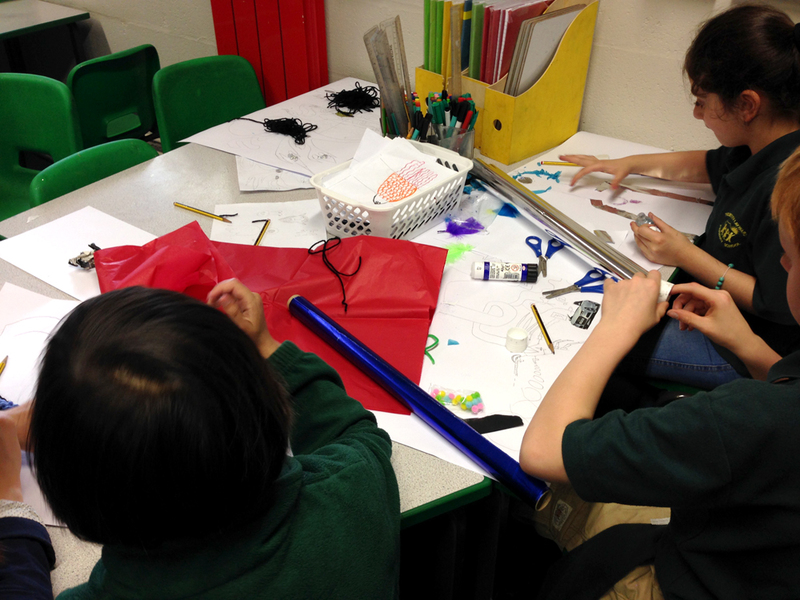 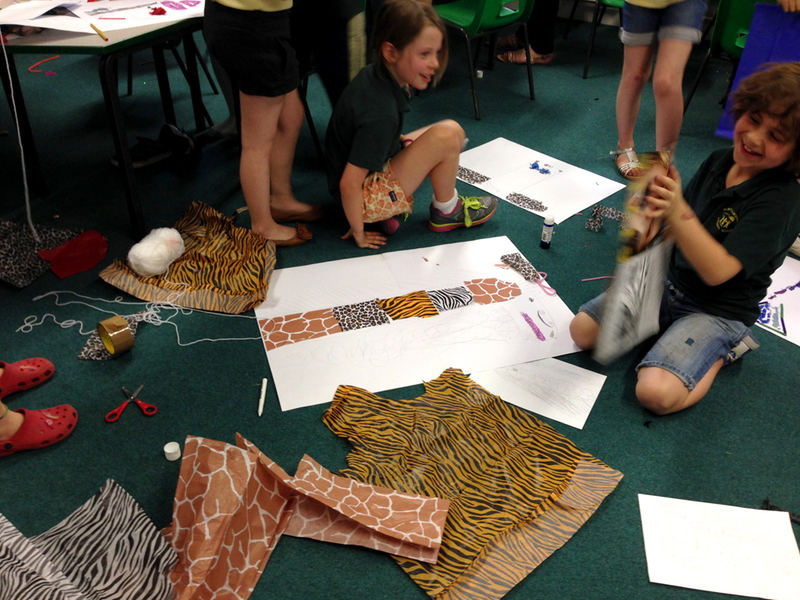 This summer we ran a creative workshop at Betty Layward primary school as part of “Pinksie”, a charity that aims to encourage creativity and imagination in children. 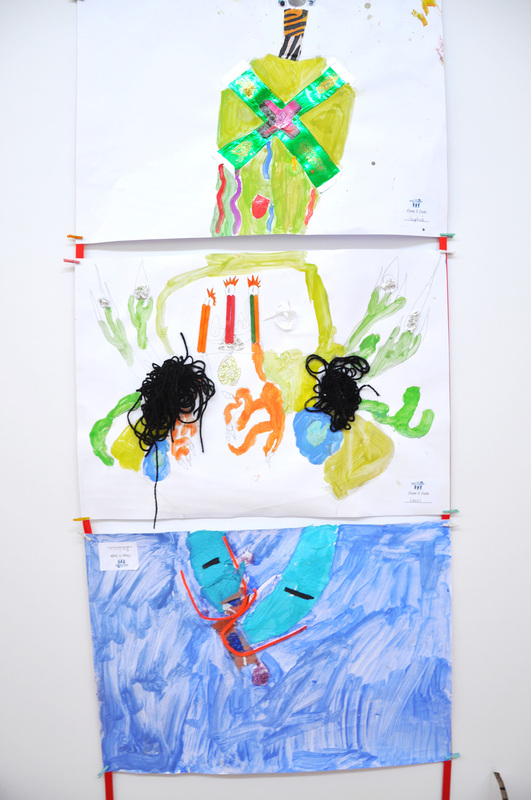 The theme of the project was Celebrating Diversity and we divised a workshop based on the game Consequences. 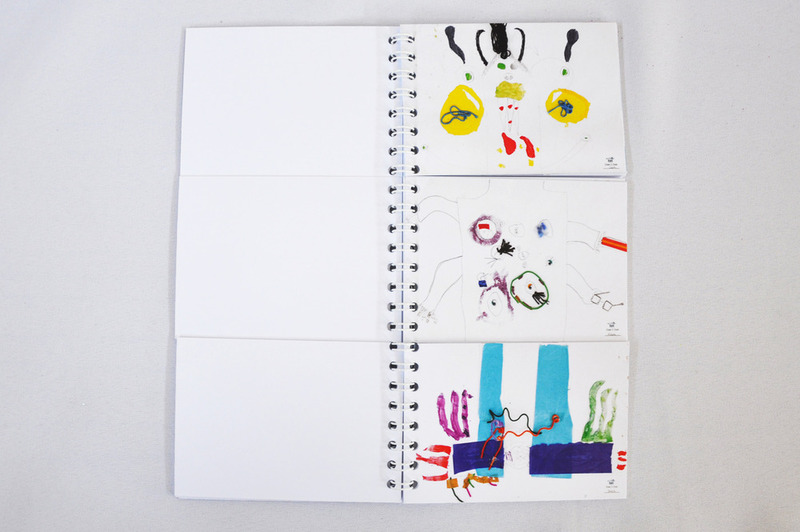 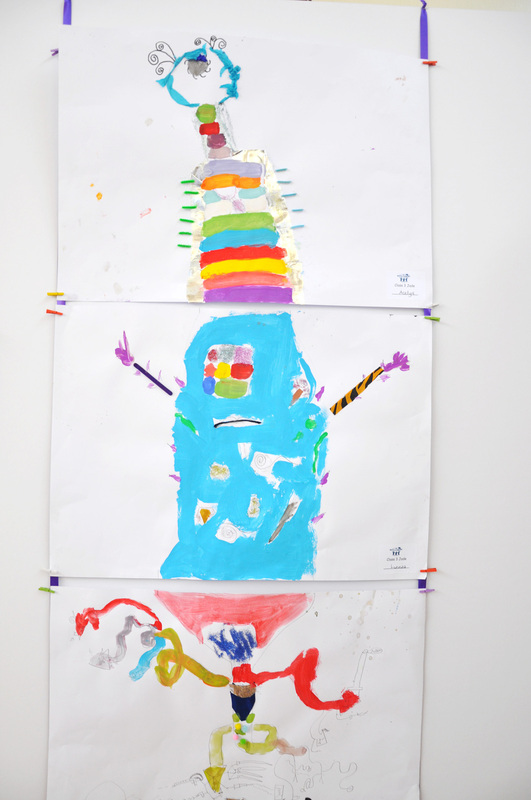 On a large scale, each child was given a section of the body to illustrate (head, body, legs/tail) and was encouraged to be as imaginative as possible and to experiment with a variety of processes (collage, painting, drawing, printing).